W elcome! Well finally I've managed to post this up! I've hummed and hahed over it for so long... Quest For Immortality was really difficult series to write, it ended up spanning four books and in some ways, it still wasn't finished. We introduced several new characters and developed the relationship between Link and Zelda a lot more, the only problem was it got really complicated and I'm sure some people were left feeling by the end that there was more they wanted to know. So me and Kirst wrote this second epilogue book to shed light on a few more things, we really hope you all think it's been worth the wait! 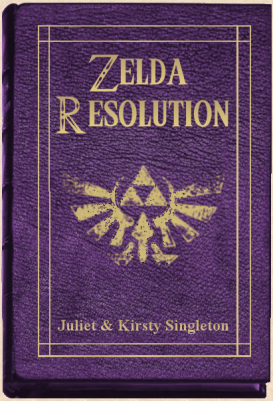 I haven't been 100% with this one (as time goes by Zelda just seems harder for me to write because me and Kirst have written so much) but we hope that you all enjoy it and it answers some questions you might have had at the end of the last series. It's also given us the chance to develop some of the other characters a little more because I'm sure you get bored of Link and Zelda from time to time! This is set pretty much directly after Triad of Evil and touches on the aftermath of what happened after Mara and Robert. Link is feeling guilty for betraying his beloved wife Zelda, and she can't seem to forgive him, no matter how hard they try. Is it really worth all the heartache and bickering? Zelda worries she'll still end up left holding the babies and Link despairs that he'll lose his family forever thanks to his misdemeanours. Not only that but he has responsibilities within Catalia now that both Robert and Seline are dead - would Catalia really want him to be their new caretaker? Fayzie meanwhile has been put in the care of Link's close friend, Damon Owen. She's building a new life for herself and her young son in the sleepy wood village of Tarn, trying to put the past behind her. No longer able to be with the man she feels she loves its time to forget about him and move on. Drake is devastated by the loss of his dear cousin, Byron, a casualty in the war against Catalia. Then something happens that makes him assess his life, and realise that he's perhaps not so unlucky or alone after all. Finally poor Felicity can barely cope after Mara's cruel torture - can Navi help her become the faerie she once was? All over Hyrule the victims of the evil that swept the land are trying to pick up the pieces. However good can often come forgiveness and new beginnings, it's just forgiving can often be the hardest part to deal with. Can our heroes and their friends learn their lessons and be truly happy once more? This page was created by Juliet A. Singleton © 2006-2008. All rights reserved.